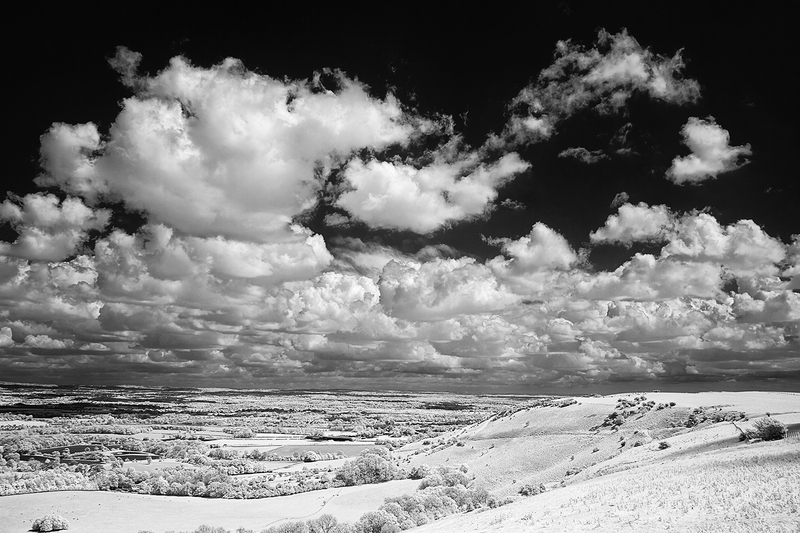 Ditchling Beacon is a well-known landmark on The South Downs Way some 600 feet above sea level. Millions of years ago these hills were completely submerged and the area is now a chalk downland. This image looks towards the east from The Beacon.